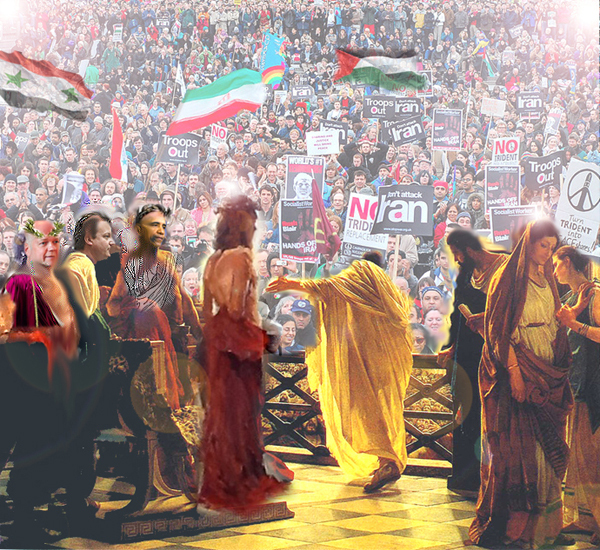 HOLLAND: A Catholic lawyer has sought legal action over the ‘wrongful conviction’ of Jesus. Dola Indidis accused Pontius Pilate, King Herod and emperor Tiberius, and others, of violating the Son of God’s human rights. The Christianity myth is, like all cultural myths, composed of the combined wisdom of the ancestors, shaped to their own advantage by those who had the power to do so. The myth is a natural teaching device carrying information of a higher order than is generally available in the hum-drum everyday lives of future generations. There certainly seems much to question when the crucifix, a fearful instrument of torture, agony and death, is flaunted as the symbol of the loving God which Jesus revealed in contrast to Jehovah, the previous wrathful deity of the Hebrews. But power needs fear to impose its will, and the priests and Bishops were not slow to mould the emerging myth of love and freedom into fearful doctrines to suit their own Machiavellian ends. Many are the ways in which this myth could have moulded itself if left to its natural inclinations, some perhaps, with less gruesome consequences. This entry was posted on 29 August, 2013 in homepage and tagged Antonio Ciseri, Barack Obama, Claire Palmer, dave tomlin, David cameron, Dola Indidis, Ecce Homo, Jesus, King Herod, Machiavelli, middle east, Myth, Peace protest, People power, Pontius Pilate, Surrection, Syria, Tiberius, WAR, Warmongers, William Hague. Bookmark the permalink.